Feb. 7, 2018 -- Despite tens of thousands of complaints about its cleansing conditioner for hair, an FDA investigation, and a $26 million payout to affected consumers, WEN by Chaz Dean and its parent company are still selling that product online and through QVC. Two retailers of makeup geared to teens, on the other hand, voluntarily pulled their products from their shelves after a parent paid to have the products tested and found that eyeshadows and face powder contained traces of asbestos, which causes cancer. Why the difference? Companies that make or sell beauty and personal care products can choose how to respond to consumer complaints, lawsuits, and government warnings -- something lawmakers in Congress are hoping to change. “There is no other class of products so widely used in the United States with so little regulation,” wrote Sens. Dianne Feinstein (D-California) and Susan Collins (R-Maine) in an article published in the Journal of the American Medical Association (JAMA) on Tuesday. The FDA, which regulates drugs and food, is hamstrung when it comes to products like dietary supplements and cosmetics, a $62 billion industry. The agency can send warning letters and inspect manufacturing and distribution facilities. But it does not have the authority to recall products. The retailers and manufacturers can decide what they want to do. Some do recall products as a result of consumer pressure, as in the case of Justice and Claire’s. The two retail chains stopped selling several of their own lines – Justice recalled 8 Just Shine products, including Just Shine Shimmer Powder and Eye Shadow Palette, and Claire’s pulled 17 makeup kits that included eye shadow and lip gloss -- after tests from a lab found they contained asbestos. A concerned parent had the tests done at a private lab, a TV station reported. WEN denied any problems with its products, and Claire’s last year denied that its products contained asbestos, citing results from its own lab tests. Justice said last year that it had ended its relationship with the vendor that produced the makeup. Feinstein and Collins have introduced the Personal Care Products Safety Act to push for tighter regulations on cosmetics and personal care products. The Feinstein-Collins bill also requires the FDA to test a certain number of chemicals each year to see how safe they are, and it allows the agency to recall products deemed to be harmful to consumers. Also on Wednesday, Rep. Debbie Dingell (R-Michigan) introduced a bill mandating that cosmetics marketed to children are free of asbestos. A spokeswoman for Feinstein says JAMA invited the senators to submit the piece. The American Medical Association has not endorsed the bill, which will likely be part of a larger package of FDA-related legislation, she says. Two other bills introduced in Congress -- the Safe Cosmetics Modernization Act, sponsored by Rep. Pete Sessions (R-Texas), and the Cosmetic Safety and Modernization Act, introduced in October by Sen. Orrin Hatch (R-Utah) -- also give the FDA more authority but do not require it to do chemical testing. The Environmental Working Group, an advocacy organization, supports the Feinstein-Collins bill, as does the American Cancer Society, Johnson & Johnson, Procter & Gamble, Revlon, Estee Lauder, and L’Oreal. The Sessions bill has the support of smaller cosmetic companies that are mostly represented by the Independent Cosmetic Manufacturers and Distributors (ICMD). In 2016, the FDA launched an investigation of Guthy-Renker LLC, which sells the WEN by Chaz Dean hair care line direct to consumers, after getting a record number of complaints about the cleansing conditioners. The reports included hair loss, hair breakage, balding, itching, and rashes. The agency inspected the company’s manufacturing and distribution plants and learned that the company itself received more than 21,000 complaints. The FDA says it has received nearly 1,700 complaints about the products. In a statement released last year, the agency said it was continuing to investigate the cause of problems with the WEN conditioners but had not ruled out illness, medications, hormonal changes, anemia, rapid weight loss and gain, and stress as reasons. Guthy-Renker settled a class-action lawsuit in August stemming from the complaints for $26.2 million. The first checks went out in January. Some 6 million users could benefit, according to the law firm that represents the plaintiffs. 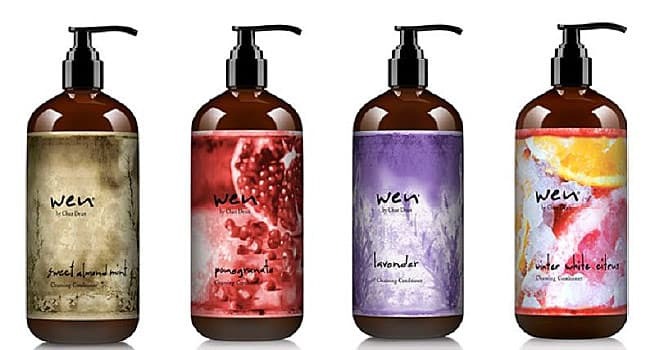 Joe Hixson, a spokesman for WEN, said the company has no plans to recall the cleansing conditioners because its investigation and that of the FDA haven't found any link between the product and consumer complaints. "We've looked for any evidence for a reason to recall them and haven’t found one. We've been continuing to cooperate with the FDA," he says. "We would love anybody having an issue with their hair to seek out a doctor." Justice said in September it was working with the FDA on the recall. "Justice is committed to providing safe products to our customers,” the company said in a statement. The FDA would not comment on the legislative plans for more oversight of the cosmetics industry. Lauren Sucher, FDA media officer. Ashley Schapitl, press secretary, Sen. Dianne Feinstein. Independent Cosmetic Manufacturers and Distributors.